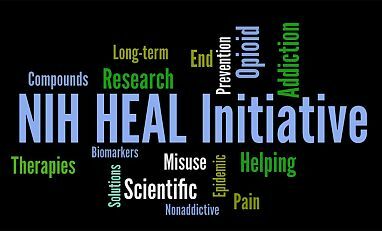 In 2017, there were 415 drug overdose deaths involving opioids in Louisiana—an age-adjusted rate of 9.3 deaths per 100,000 persons. This is less than the average national rate of 14.6 deaths per 100,000 persons. 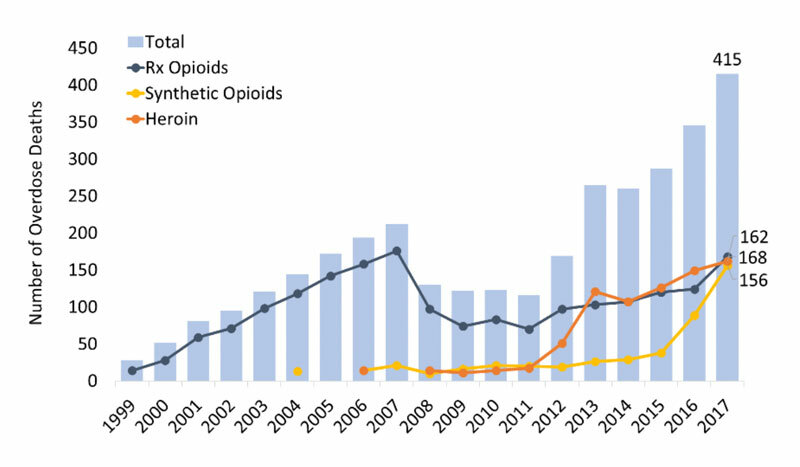 The greatest increase in opioid involved overdose deaths was seen in cases involving synthetic opioids other than methadone (mainly fentanyl): a rise from 38 deaths in 2015 to 156 deaths in 2017 (Figure 1). Deaths involving heroin increased significantly over a longer period; from 17 in 2011 to 162 in 2017. Prescription opioid-involved deaths also rose from 70 deaths in 2011 to 168 deaths in 2017. In 2017, Louisiana providers wrote 89.5 opioid prescriptions for every 100 persons (Figure 2), compared to the average U.S. rate of 58.7 prescriptions. This was among the top five rates in the United States that year (CDC); however, it was also the lowest rate in the state since data became available in 2006. 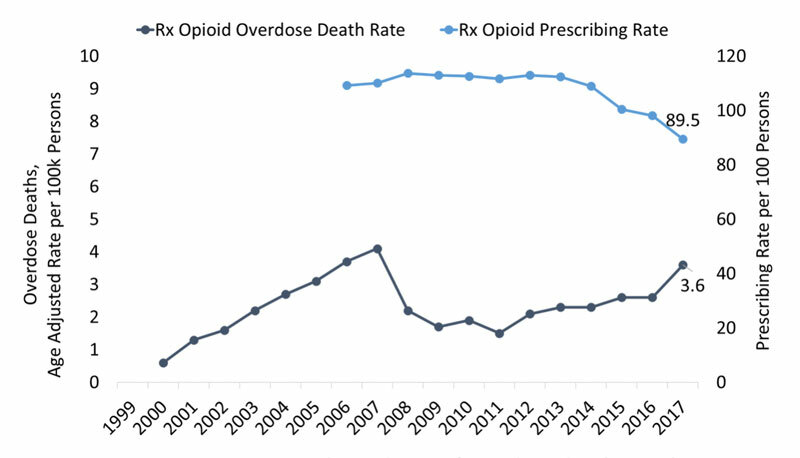 The age-adjusted rate of overdose deaths involving opioid prescriptions has not followed this trend, more than doubling from 1.5 deaths in 2011 to 3.6 deaths per 100,000 persons in 2017. Figure 2. Louisiana age-adjusted rate of overdose deaths involving prescriptions opioids and the opioid prescribing rate. Source: CDC and CDC WONDER. 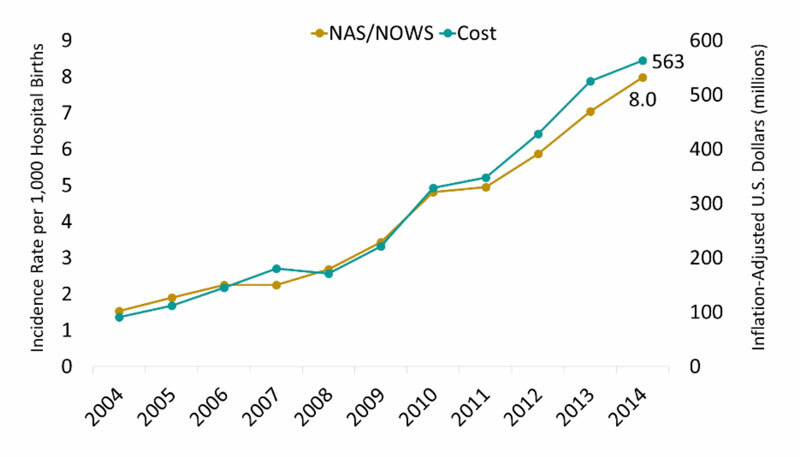 The number of NAS/NOWS cases in Louisiana rose by 50% from 243 cases 2012 to 360 in 2017. St. Tammany, Jefferson and East Baton Rouge Parishes reported the highest number of NAS/NOWS cases, with 45, 32 and 30 cases, respectively (Louisiana Department of Health). Figure 4. Louisiana: Estimated percent of male vs. female with new HIV diagnoses, by transmission category, 2016. Source: CDC and www.AIDSVU.org. State Incidence: Of the new HIV cases in 2016, 1,151 occurred in Louisiana. Among males, 7.3 percent of new HIV cases were attributed to IDU or male-to-male contact and IDU. 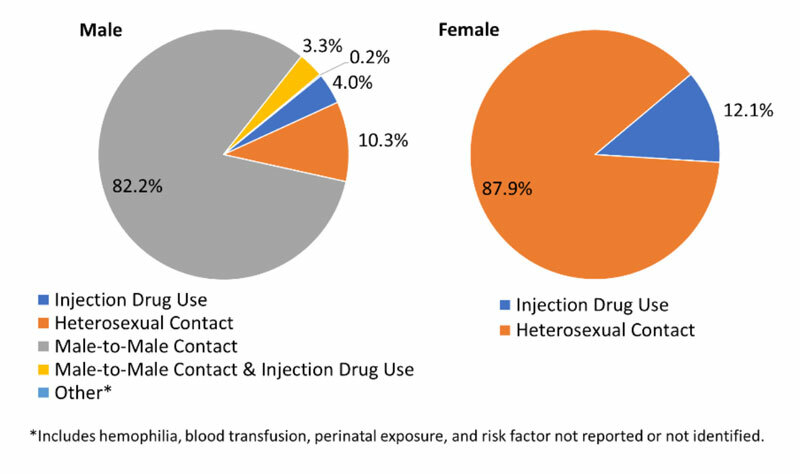 Among females, 12.1 percent of new HIV cases were attributed to IDU (Figure 4) (AIDSVu). State Prevalence: In 2015, an estimated 19,492 persons were living with a diagnosed HIV infection in Louisiana—a rate of 504 cases per 100,000 persons. Of those, 18.3 percent of male cases were attributed to IDU or male-to-male contact and IDU. Among females, 18.9 percent were living with HIV attributed to IDU (AIDSVu). State Incidence: There were approximately 5 new cases of acute HCV (0.1 per 100,000 persons) reported in Louisiana in 2012-2016 (CDC). State Prevalence: In Louisiana, there are an estimated 50,700 persons living with Hepatitis C (2013-2016 annual average), a rate of 1,440 cases per 100,000 persons (HepVu).